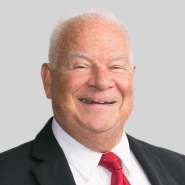 Porter Wright partner Joseph W. Ryan, Jr. recently was elected president of the Board of Directors of the International Association of Defense Counsel (IADC) at its Annual Meeting in Barcelona, Spain. The IADC is comprised of approximately 2,400 of the world’s leading corporate and insurance defense attorneys. Members of the IADC are a select group of attorneys — chosen by invitation only — with advanced skills in defense law who look to each other to further develop their skills, their business and the legal profession. The IADC has members from 34 countries, including General Counsel from numerous Fortune 500 companies. Ryan has been a member of the IADC since 1989 and has held numerous positions within the organization during that time, including serving as Vice President of The Foundation of the IADC and Director of the IADC Trial Academy. Ryan was elected to the IADC Board of Directors four years ago. Porter Wright Morris & Arthur LLP is a large law firm that traces its roots to 1846 in Ohio. With offices in Cincinnati, Cleveland, Columbus, and Dayton, Ohio; Washington, D.C.; and Naples, Florida, Porter Wright provides counsel to a worldwide base of clients. The International Association of Defense Counsel has served a distinguished membership of corporate and insurance defense attorneys since 1920. Its activities benefit the approximately 2,400 invitation-only, peer-reviewed international members and their clients through networking, education, and professional opportunities, and also benefit the civil justice system and the legal profession. The IADC takes a leadership role in many areas of legal interest and professional development.